This model is 185 cm and wears a size M. Their chest measures 102 cm and the waist 79 cm. 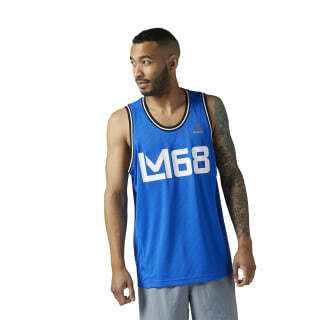 This all over mesh tank from LES MILLS™ is M.V.P. (Most valuable player) worthy. 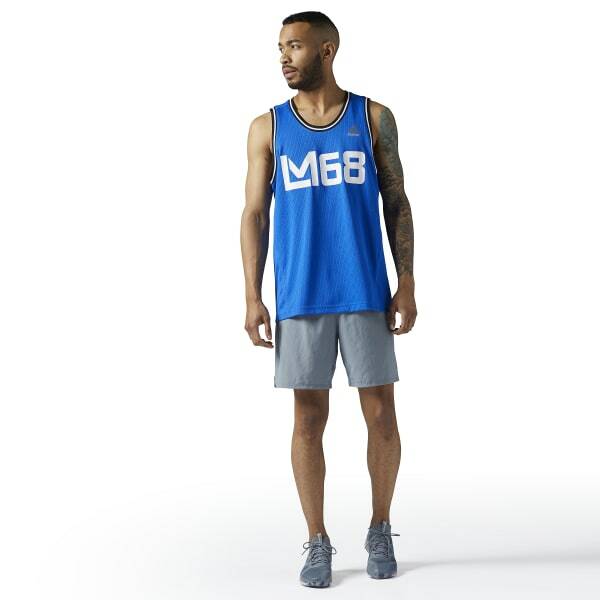 With its retro styling and traditional silhouette, this basketball tank provides a comfortable fit for basketball or gym sessions. Great to pair with LES MILLS™ mesh basketball shorts.